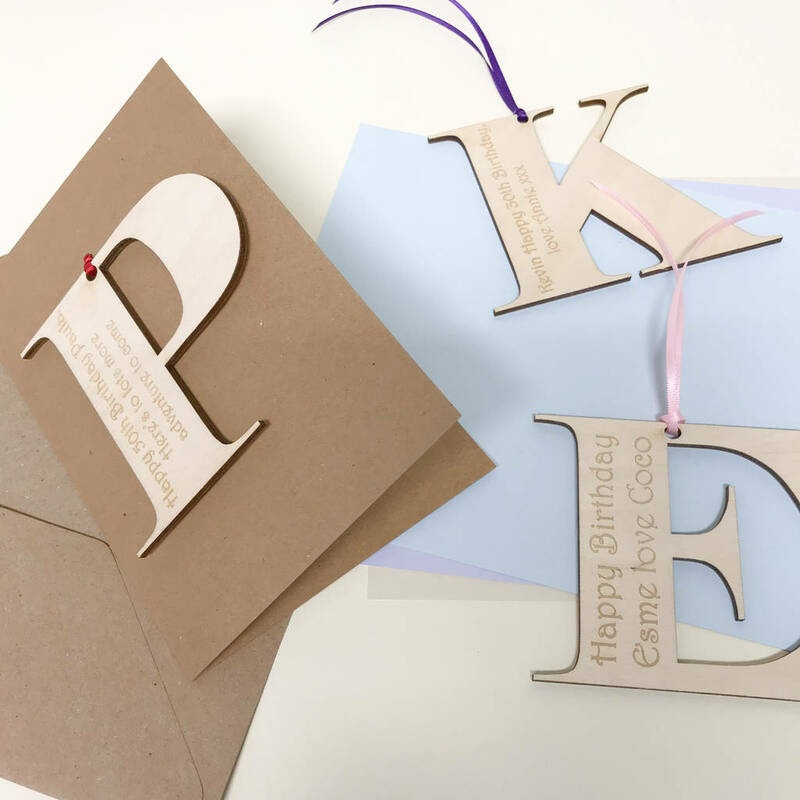 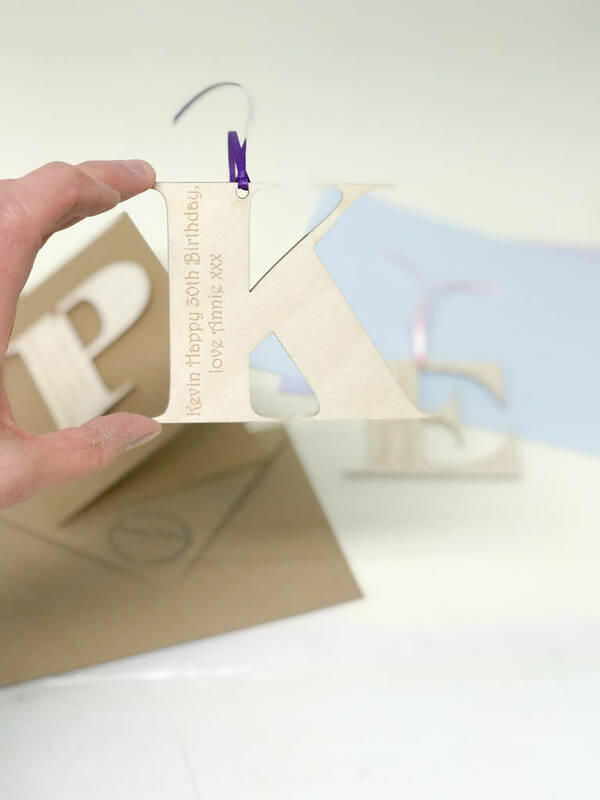 Unique Personalised Initial Letter Birthday cards made, designed, engraved and produced individually by Hickory Dickory, a contemporary way to send your birthday message. 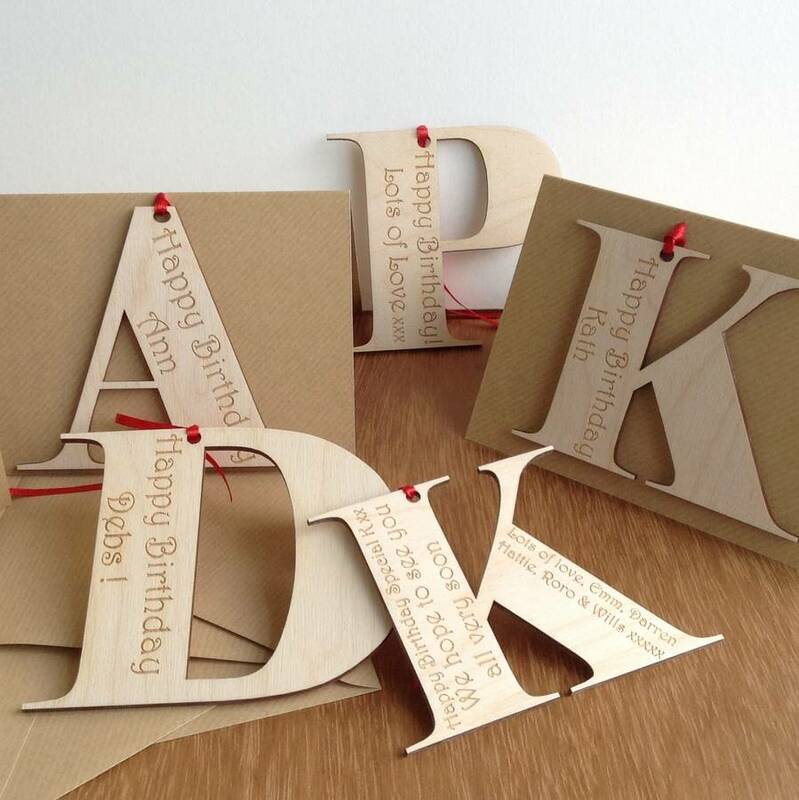 Hickory Dickory Designs Personalised Initial Letter Birthday cards are a unique choice, let us know the initial letter of the recipient name and we will personalised the wooden motif by engraveing your message into the wood as a lasting reminder of your Birthday wishes. 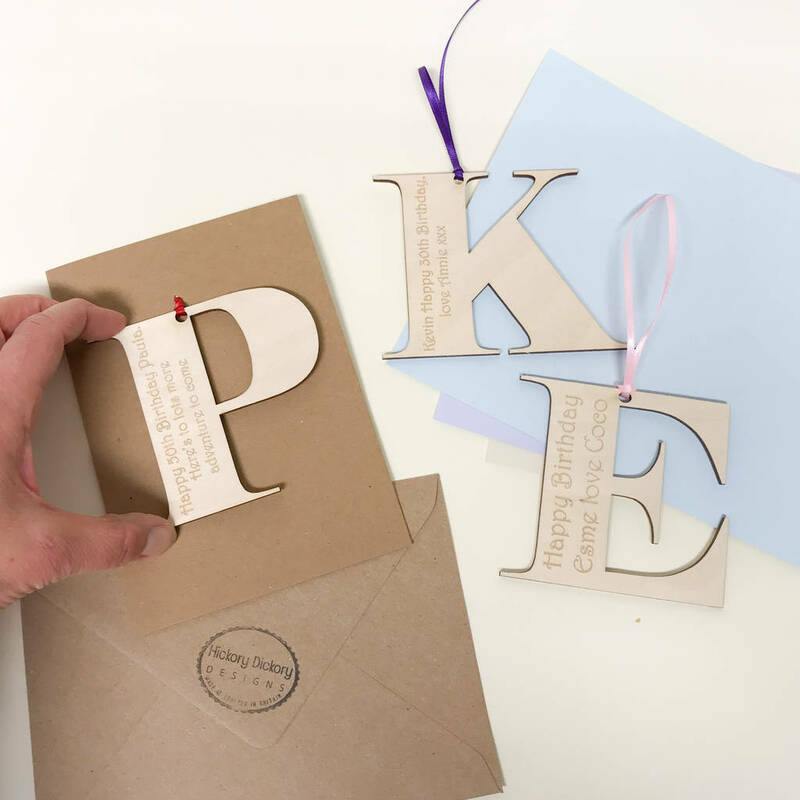 Hickory Dickory Designs personalised wooden, initial letter motif keepsakes, make a charming alternative to conventional cards and are always special and well received by the recipients. 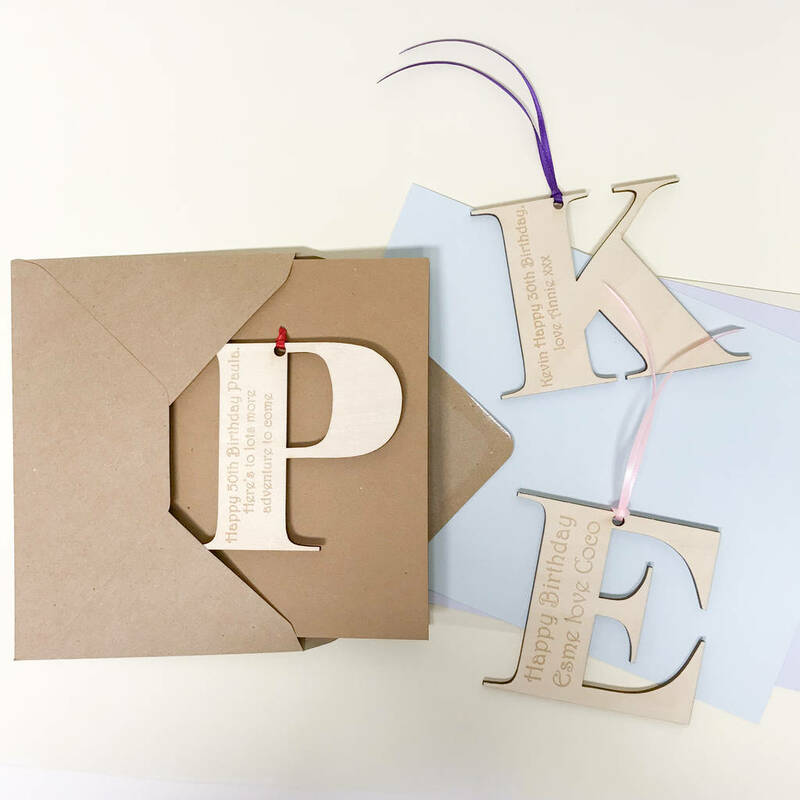 In a world of throw away cards we hope that our wooden keepsakes will become something to treasure and a reminder of the special event in your family. 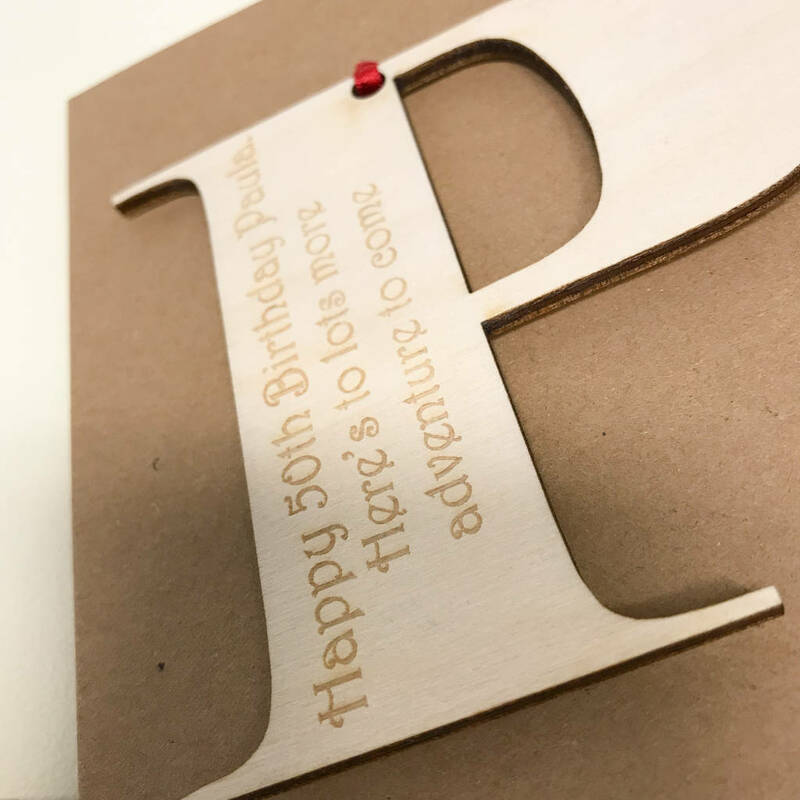 A unique and thoughtful way to display a Birthday message to someone you care about. 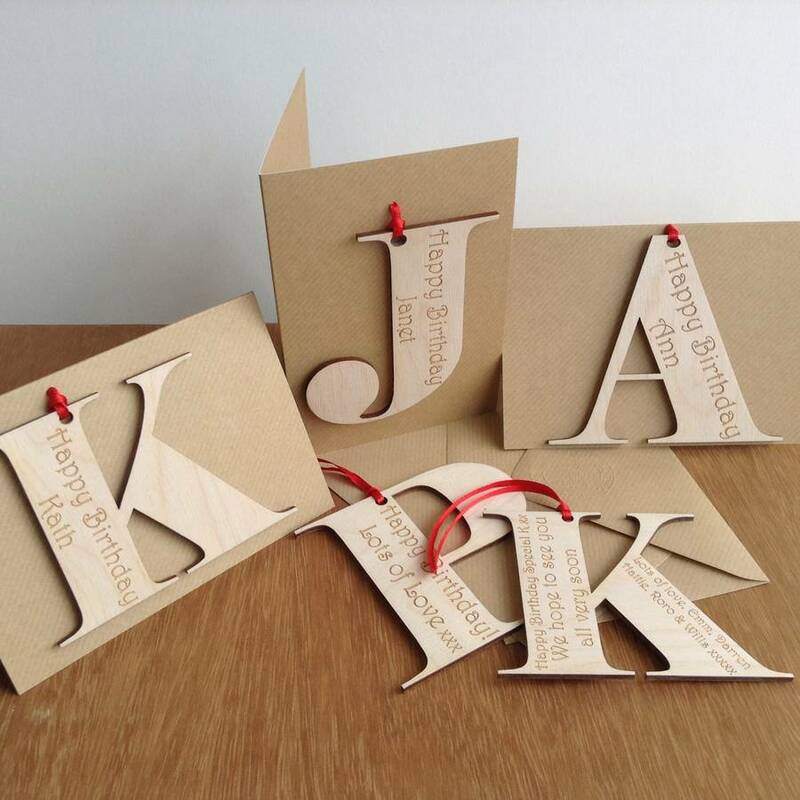 Our personalised card designs are as good as a gift, as the recipient can easily remove or frame the wooden initial letter as a charming keepsake of your special birthday message and a lasting memory of who gave the card. 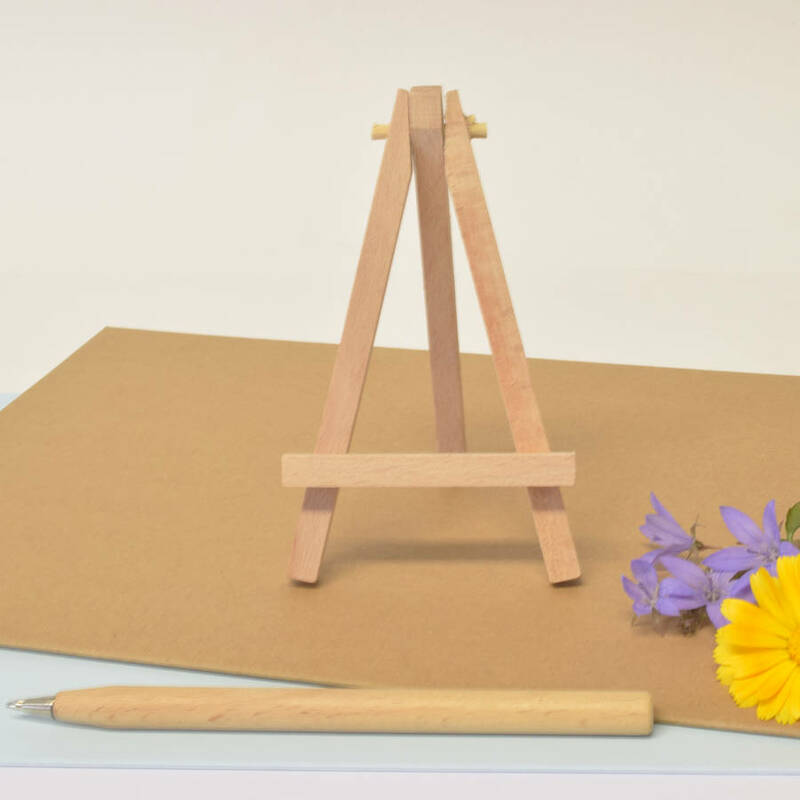 We can also suppy you with an easel as an extra special way to dispay your card, perfect for that treasured keepsake. 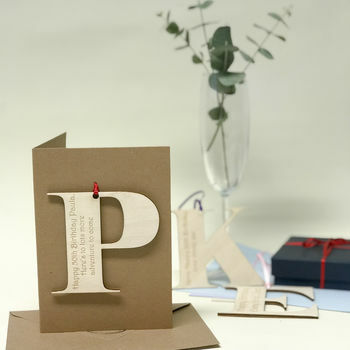 All the cards we use are made from recycled paper and we source our wood from local suppliers. 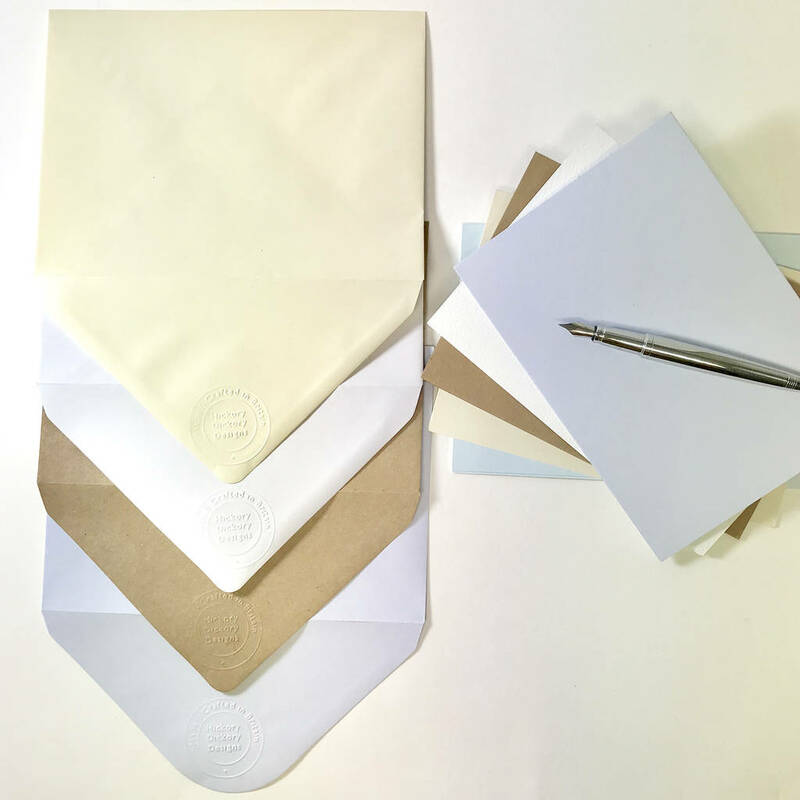 We have left our cards blank so you can add your own message inside. 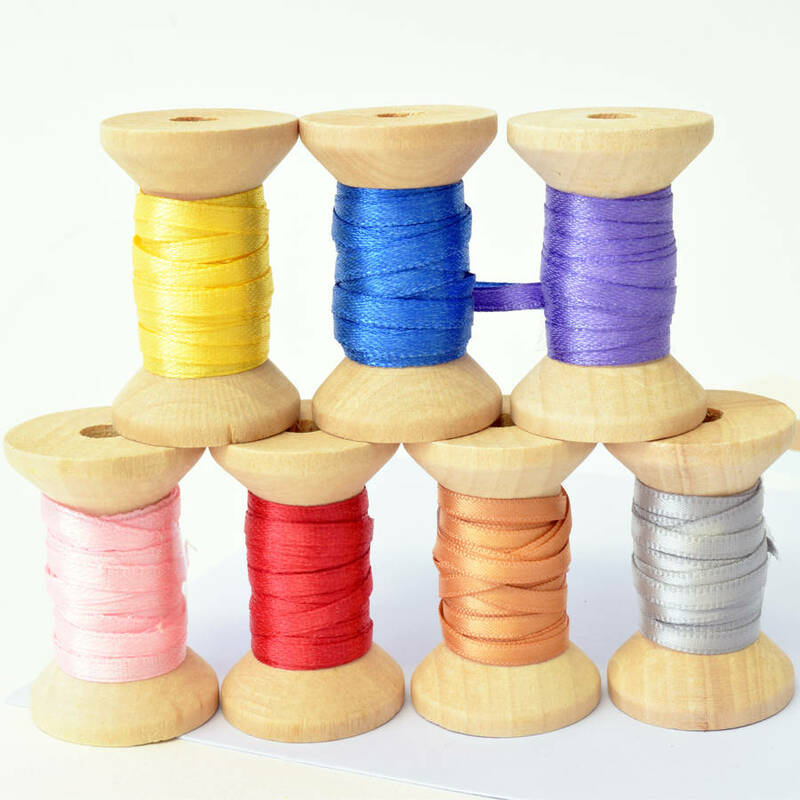 Choose from brown kraft/cream/white/lilac/light blue card, and your ribbon colour from red/blue/pink/purple/yellow/gold/silver.(NB. All A4 cards come with a white envelope)We have left our cards blank so you can add your own message inside.Made from 3mm durable birch plywood. 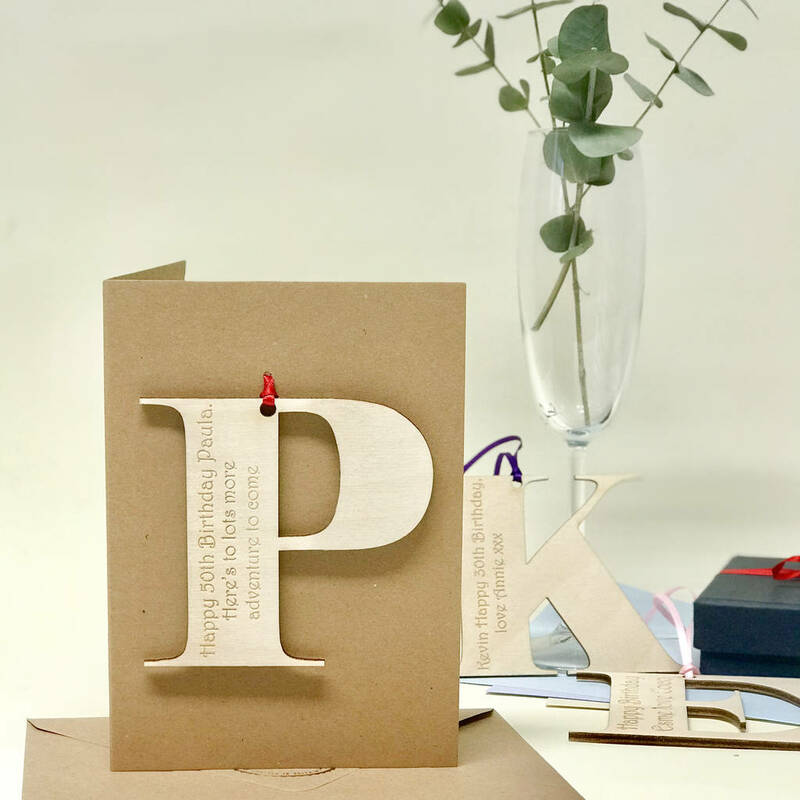 We use a smooth light coloured wood, however should there be any irregularities on the surface please see these as natural qualitiesof the material.